We went to Disneyland before my birthday. We had lots of fun. 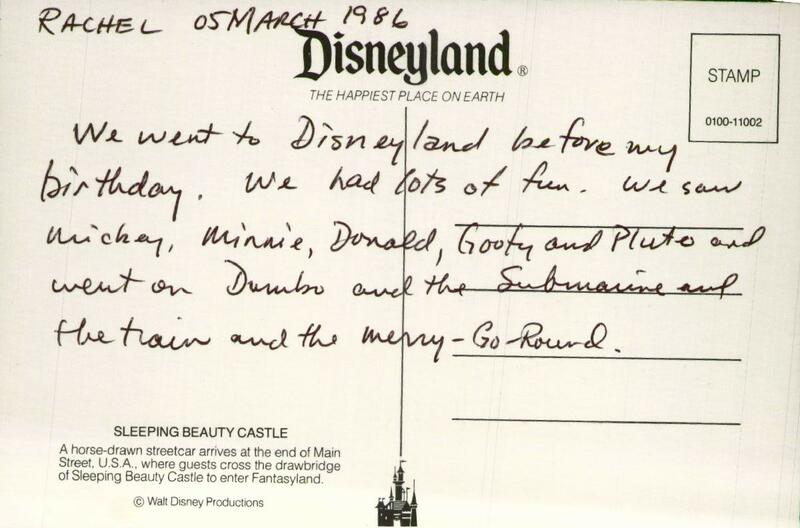 We saw Mickey, Minnie, Donald, Goofy and PLuto and went on Dumbo and the Submarine and the train and the Merry-Go-Round. 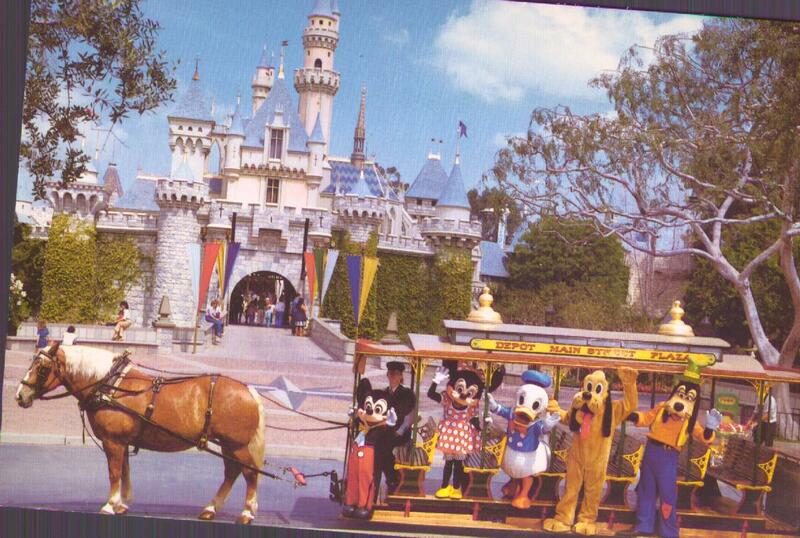 A horse-drawn streetcar arrives at the end of Main Street, U.S.A., where guests cross the drawbridge of Sleeping Beauty Castle to enter Fantasyland. The fundamental trick of Disneyland: this looks like the entrance, but you're already inside.